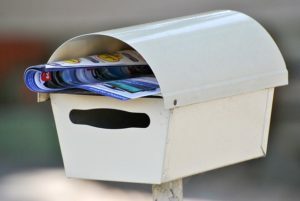 These days you may be wondering how effective direct mail advertising really is. Whether it is through sales letters, brochures, order forms or prepaid envelopes, direct mail advertising is anything that you can send to potential customers on behalf of your company. But, these days you may be wondering how effective direct mail advertising really is. To help you make a decision, the following are a set of pros and cons. Direct mail advertising is one of the easiest avenues to tap into. You can purchase mailing lists from a distributor and get started right away. And results are equally easy to track. You can quickly get feedback on the effectiveness of your campaign through coupon use data or physical mail return envelopes from the customer. And some customers prefer to have something in their hands than a call or email that they can ignore. Unfortunately, most direct mail advertising campaigns yield very low response rates. The margin of error for sending your advertisement to your target audience is also a hindrance. There is the risk of misspelling the address, or the customer may have moved, or your coupon may expire by the time they look at it. All of these factors make it more likely that your advertisement will end up in the trash. By that token, the costs of paper can add up and put a negative impact on the environment. Although direct mail advertising can be very effective, many companies find call services to be a more cost-effective and updated option. We pride ourselves on our professionalism and customer service training when handling incoming calls, and specialize in alarm response and data entry as well. Stop making your customers feel under-appreciated with voicemail services; instead, let them know you care through TeleRep and hire a virtual receptionist today. This entry was posted on Monday, March 18th, 2019	at 12:51 pm	. You can follow any responses to this entry through the RSS 2.0	feed. Both comments and pings are currently closed.